This conference will bring the accreditation organizations and the recognition bodies together along with the industry to discuss how best to implement both schemes. 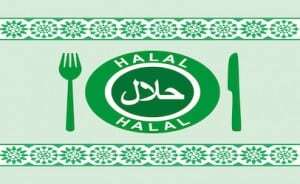 New Jersey adopted the Halal Food Consumer Protection Act in 2000, requiring halal food sellers to disclose whether they sell both Halal and non-Halal food. Not only is it difficult to regulate, but some critics raise questions about whether the doctrine of church-state separation means governments should even get involved. At the celebration Midamar gave awards to employees who have assisted the company for decades in its growth and development. Midamar celebrates its 40th year of doing business in the Middle East at Gulfood, Dubai World Trade Centre, Dubai, UAE on February 23-27, 2014. Barkaat Foods is a zabiha halal USDA-inspected meat packing plant (abattoir). It is one of the three largest slaughter plants of this size and capability in North America for lamb, goat and veal. The Texas-based company will produce food such as beef hot dogs, bologna and breakfast strips for Islamic customers around the country. They expect the plant will also ultimately produce turkey and chicken products. The booming halal market in the US is often accompanied by a lack of consensus about what constitutes halal — and that has caused confusion and controversy among Muslim Americans. Multinational food brands and fast food chains doing billions in halal sales globally are “hesitant to openly associate themselves to be marketing to the American Muslim,” says Faisal Masood, who organizes the annual American Muslim Consumer Conference.